4. Click blue “Add new subtitles or CC” button and choose the language you wish to create the subtitles in (we will initially create them in the language of the video and then translate this). 6. Either copy and paste a transcription in or use the controls to type the transcription from the video, if you have to leave your computer during the transcription YouTube will save what you have done. 7. Once the transcript is in the text box and you are happy with it click “Set Timings” and wait till YouTube does its thing. You may have to refresh the page a few times depending on the length of the video, or go make a coffee and come back later. 8. Once the timing have been done open the draft and check the timings are accurate. When happy click “Publish”. DONE!!! 9. Re open the published subtitles and select the file type you desire from the “Actions” dropdown. .srt is the format you require to upload to Facebook. 11. Save as new file name. 12. 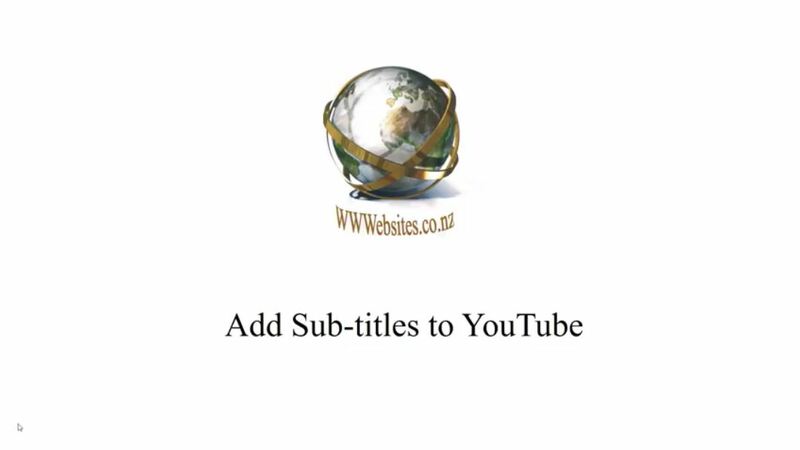 In YouTube create a new language in the “Subtitles & CC” section and this time choose “Upload a file” option. There are 180 different language options available so go wild!!! Adding a video to your webpage can add that extra ZING and interaction with your viewers and can giv so much info without the huge reams of page and reading time. Embedding videos is also easy and there are some tips to have them looking great. As you can see they give you the option to make the video to your custom size (click here for some useful size info). Also what to display after the embedded video ends (either return to the beginning or show suggested other videos) so choose what will contribute to your webpage. Privacy-Enhanced Mode: Enabling this option means that YouTube won’t store information about visitors on your web page unless they play the video. Use Old Embed Code: Some sites are using old versions of web code and if your video does not display properly using the code that YouTube gives you try clicking the option and use the new code that they have given. So what do you do with this code? Copy and paste it into the HTML/source code area of your website where you would like to . Click here for some more detailed info from YouTube on embedding playlists and other things.